Gov. Tim Walz is already under intense lobbying to order a statewide closure of Minnesota schools when a mass of subzero temperatures rolls in next week. "We'll explore it," Walz told reporters Friday. 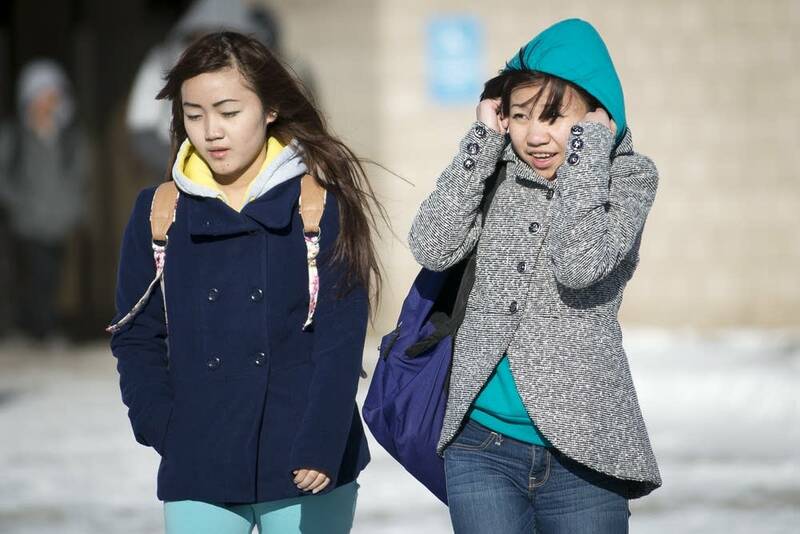 • In 2015: How cold is too cold for Minnesota schools? School districts typically make their own individual decisions on whether it's too cold or snowy to hold school, although state law gives the governor power through the education commissioner to "alter school schedules, curtail school activities or order schools closed." Walz, in his first month as governor, said he has asked his Department of Education to produce a "decision matrix" for him to consider, although he stopped well short of committing to any closure. "I really trust local officials and superintendents and folks to make these decisions," Walz said. "We'll certainly see when it's the proper role. We always make these decisions based on the safety of our children, the safety of people on the roads, but also understanding what are the implications of when you do that." Forecasters say the air temperature could reach minus 20 by the middle of next week, with the wind chill making it seem even colder. Asked what would be too cold for school, Walz replied, "It's Minnesota." The governor added that he didn't want to downplay the risk of having children wait at bus stops in dangerously cold temperatures and wind chills.